There was general impression that India’s border with Pakistan in Banaskantha area of Rann of Kutch was well protected, with fencing in place, good presence of Border Security Force(BSF) jawans and difficult geography of Rann of Kutch. However the latest incident of intrusion has proved that the border is still vulnerable. The incident has raised several serious questions. The detail of the incident: Locals from Samli village contacted Vav Police in border area of Banaskantha district of North Gujarat that some suspicious person with minor injury marks was seen seeking water from locals. He was definitely not a local person. He was possibly an intruder. Based on these details, police nabbed him. 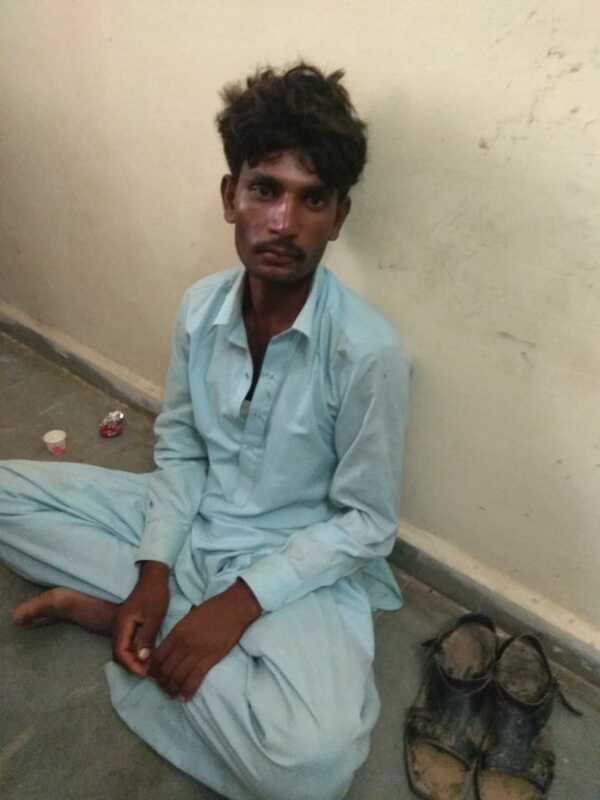 The person revealed that he was Pohra Bhabhaniya Bhil(24), a Hindu resident of Barodhari village in Badin district of Sindh province of Pakistan.He said he had entered India to work as labourer. During interrogation, Bhil claimed that he had entered Indian territory by jumping the border fence. While jumping the fence, he was hurt and minor injury marks on his body were due to this. Bhil said, a tall tower of forest department on Bobadia bet in Rann of Kutch was visible from distance and that was the direction guiding him. As soon as he was in Indian territory, one Prakash arrived there with a camel. When both reached forest department tower on bet, Prakash told Bhil that he would come back with water soon. However Prakash never returned. Bhil spent night under the tower. As he was thirsty, he started walking in search of water. He spotted some shepherds outside Samli village and asked for water. However they denied help. Soon, Bhil reached Goga Maharaj temple of Rabari(shepherds) community and sought water. The farmers present in the temple informed police. It should be noted here that the temple from where Bhil has been nabbed is about 20 km inside the Indian territory. Bhil had two Pakistani sim cards in his possession. An 11 figure number was written using marker pen on cover of one of sim cards. Voter slip which is the evidence of vote cast in Pakistani election was another document found in possession of Bhil. Urdu writing, plastic ID cover were other things found with Bhil. Bhil was yesterday interrogated at Tharad guest house by various agencies. Prior to that he was taken to Rann of Kutch, number of times to recreate his intrusion attempt. It was found that there was truth in his story. Camel foot marks were found along the trail. 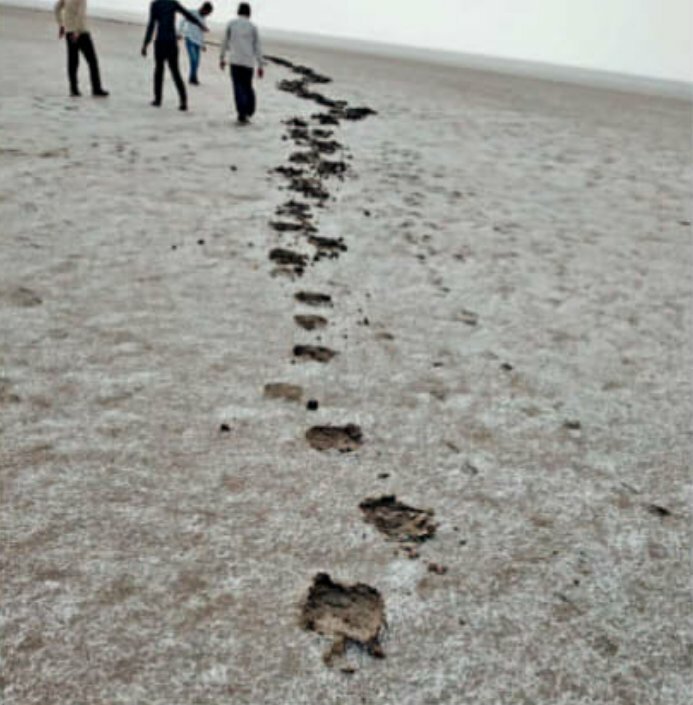 Police also tried to take help of sniffer dogs, but they couldn’t walk much in salty, marshy Rann of Kutch. 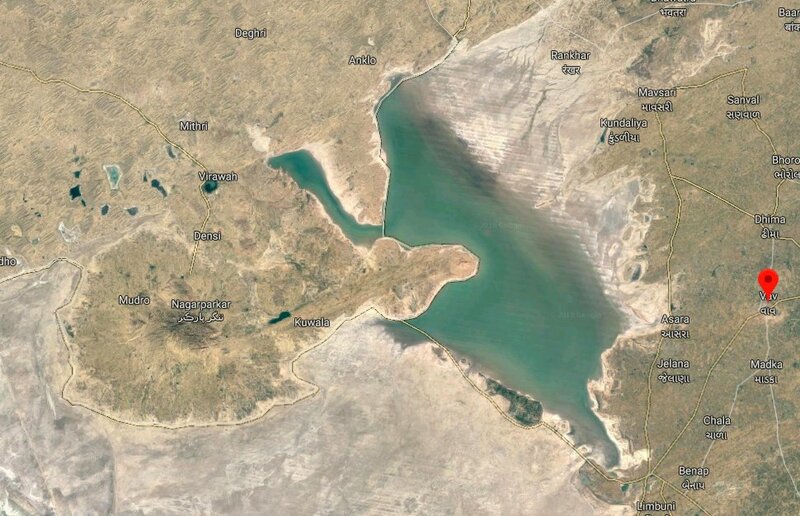 – If he was resident of Badin, the nearest border portion for intrusion would be Lakhpat area. Why he travelled all along to Banaskantha border to enter India? – As per Bhil, one Prakash has entered Pakistan in the past illegally through border route. Who is this Prakash? Why he came to help Bhil with his camel? – Why Prakash left Bhil after forest tower? – Where is Prakash? Which was the camel used for intrusion attempt? – Why Bhil is possessing two sim cards? – Is there some deeper meaning of 11 digit code written over sim card cover? – Prakash was destined to which place if not caught by villagers? – Has Bhil revealed his real identity? – How exactly Bhil could jump the border fence? Was someone at his help from Pakistani side? Police and other agencies are probing into this mysterious case of intrusion and trying to fix loopholes. The incident has made a point that there’s no need to be overconfident. Breach of fenced border is possible. Suppose if the intrusion attempt was well coordinated with more local help in offering, the intruder would have been never caught.